by introducing a bill that would permit psychologists, by securing a master's degree in psychopharmacology, to prescribe a limited formulary of medications. Needless to say, NYSPA will marshal all its resources to defeat any attempt to permit psychologists to prescribe medication. Now, psychology apparently intends to renege on its 2002 agreement by seeking to remove the statutory prohibition on prescribing and create a new pathway for psychology prescribing. 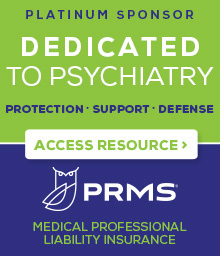 If a psychology prescribing bill is introduced in the upcoming legislative session, we will need all members to take action – writing to their state legislators, contacting media, educating the public, working with our physician colleagues and supporting our PAC to beat back this assault on the scope of practice of medicine. We will keep you advised of developments as they occur and look for your support and assistance.